Now that we are well into the new year, I thought that it might be worthwhile to explore a topic that many may not have previously thought about. 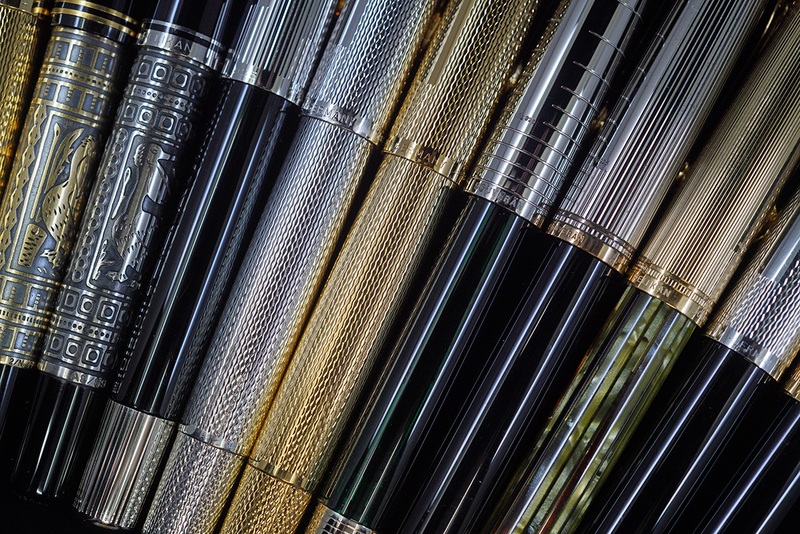 While this post is not specific to the Pelikan brand or even fountain pens, I hope that it will be of some interest to anybody who has invested the time and money to cultivate an assortment of pens and pen related paraphernalia. As many of us know all too well, what starts out as a pen or two can quickly balloon into a collection, the contents of which may grow to represent a substantial outlay. What if something were to happen to that collection? Loss, theft, and fire are all real threats in today’s world and, while only objects, our collections represent an emotional investment as much as one of time and money. As casual collectors, this is hardly on the forefront of our minds but it is something that you should think about at least once. Property crime includes the offenses of burglary, larceny-theft, motor vehicle theft, and arson. While statistics show that this has been on the decline over the past decade, the menace remains very real. According to the FBI, there were an estimated 7,694,086 property crime offenses in the U.S.A. in 2017 resulting in losses approximating $15.3 billion. That equates to a rate of 2,362.2 crimes per 100,000 people. Burglary accounted for 18.2 percent of all the property crimes cited above and is something that is always in the back of every homeowner’s mind. We all hope that it won’t happen to us but tragedy could be just around the corner which begs the question; “Are you properly covered in the event of a loss?” A few high-profile examples of pen theft over the past few years come to mind. Recall that Dan Smith, aka The Nibsmith, had $40,000 worth of fountain pens stolen from his vehicle in May 2017. Then there was the case of Novelli who was robbed of a large quantity of pens and lighters in August 2018. While these cases represent the unique situation of vendors with large inventories, they still serve as good examples to illustrate the threat that is out there. Of course theft is only one peril that might befall a collection. Read on to learn what you may be covered for and what you should do to protect yourself.